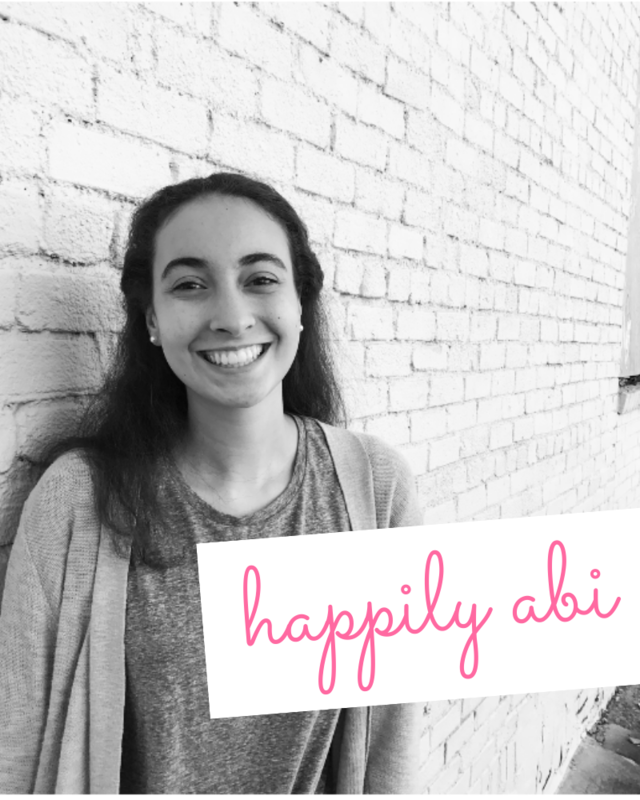 My name is Abi Leah and I am the blogger behind Happily Abi. I’m an eighteen-year-old student with two younger sisters and two wonderful parents. I’m also frequently called the “mother” in my friend group, as I am always armed with pens, staplers, and extra food. :) When I’m not blogging, you can find me reading, playing piano, or studying for school. The beach is my happy place and my blog is my online home. 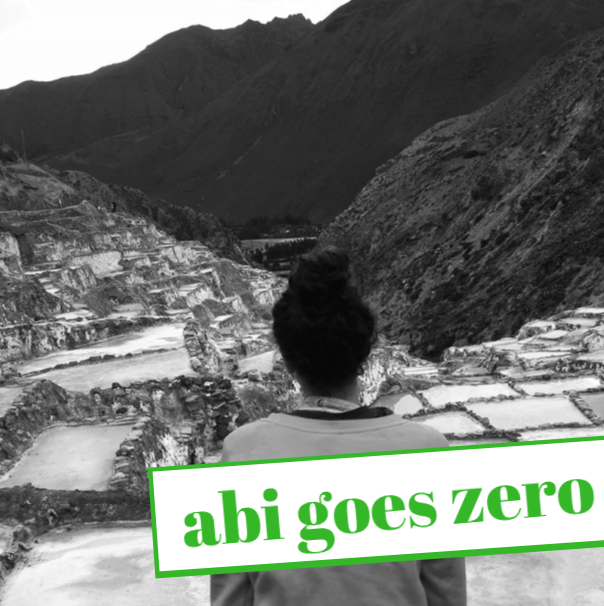 I started blogging in 2014 under the blog title, Life As A Homeschooled Teen. Since then, I’ve gone back to “regular school” and I am now attending a small Christian university which I absolutely love! I am currently a Freshman in college, double majoring in English and Digital Media. My dad taught me to do things I’m afraid of. God and Christianity have become a very important part of my life. I became a Christian in 2010 when a family member died. Because of that experience, I was brought to question who I was and what my purpose in life would be. The only answer I had to my questions came from God. That day in September turned my life completely around. God’s love and mercy have influenced me to be a more loving, hard-working person. My goal is to become a social worker and to help foster kids find loving, happy, and safe families. Until then, I write devotions on my blog to help encourage others as well as myself to trust God throughout all of the storms of life and to love Him more each day. I have other interests as well such as bullet journaling, reading about the environment, writing letters, singing songs, and spending time with my family and friends. You can follow me on Instagram, Pinterest, and google plus! Thank you! I love your blog and your latest post. Totally relatable. Thank you so much! Piano is great isn’t it? Take care and I look forward to your future posts! Hello, Abi Leah. Thank you for following me! You have a very nice blog. I will be looking for new posts! That’s cool, I also like Piano, Journals and Notebooks. Fun! Do you take lessons for piano or just play? Cool, by the way on October 1st, my friend and I will start an online radio station for the blog, so we’ll be doing original music and stuff like that. Oh my goodness! That sounds so cool! Pingback: Welcome One, Welcome All! Your blog is amazing, by the way! I love reading through your great content! 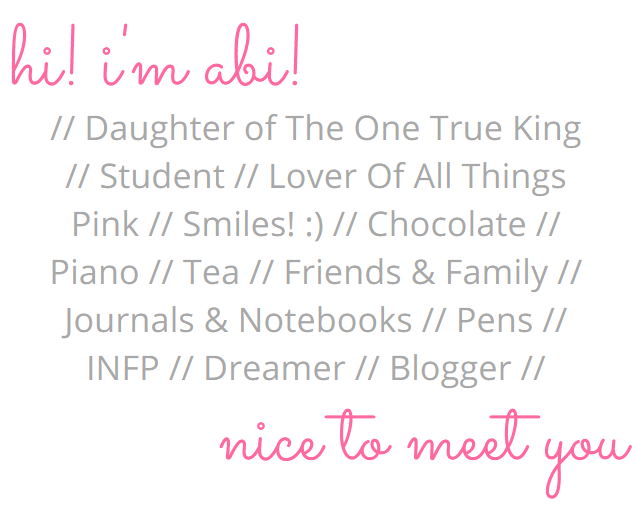 Fun to find your blog Abi!! Got the link from Lacey’s blog– always good to find someone living their faith online. thank you for that! I just found your blog and I have really enjoyed looking through some of your posts! Keep up the great work. like your mentality and awesome writing! <3 keep it up. I really enjoyed reading some of your posts and your about me! I just recently switched jobs, but for the last four years I have been working in the foster care system. I worked with foster parents and placed kids in the system into homes. It was such a difficult, but rewarding job. If you have any questions about that world, or just want to chat, check out my page and hit me up! Thank you Kaytie! I will definitely message you if I have any questions! Awwwww!! Your blog is adorable! I LOVE what you’re doing here!